In case you missed it, members of the Organization of Petroleum Exporting Countries (OPEC) as well as other major oil producers have recently agreed to…draft an outline for a possible production cut deal. Word around the hood is that OPEC is targeting a production cap that would limit member output from its current 33.24 million barrels a day to somewhere in between 32.5 million and 33.0 million barrels per day. Market players cheered the notion even though the participants won’t have something to show for it until OPEC’s November 30 meeting. Both Brent and WTI oil prices are now well above their sub-$50 lows before the meeting in Algiers took place. What’s the use of having quotas when OPEC can’t enforce it effectively? Because the organization doesn’t have a good track record of penalizing quota cheaters, there’s not much incentive for participants to follow the agreement. 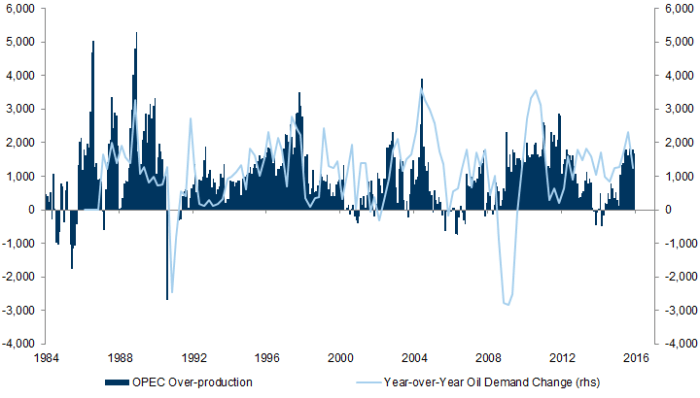 Oil geeks at Goldman Sachs recently shared that, historically, it has taken “a fall in oil demand, forced lower by a decline in refinery intake globally, to ensure countries comply with the quotas.” Heck, some studies even put OPEC member quota violations as high as 90%! It’s going take more than cooperation between OPEC members to cut down oil production. Unfortunately, Russia, the world’s largest oil producer (tied with Saudi Arabia) is being cautious and doesn’t want to label its commitment to production cuts just yet. Russia’s Vladimir Putin gave his thumbs up, but Igor Sechin, Russia’s most influential oil executive and the head of state-controlled energy giant Rosneft, said “no thanks.” Meanwhile, Energy Minister Alexander Novak said that they agreed to “output freezes” and not production cuts. And you thought getting your partner to agree you’re officially a couple was tough. Who’s ready for a recession? Not oil players, that’s for sure. With more and more asset prices rising far above what they’re worth and economic growth remaining below government targets, it’s not hard to see that we could be facing another recession in the near future. 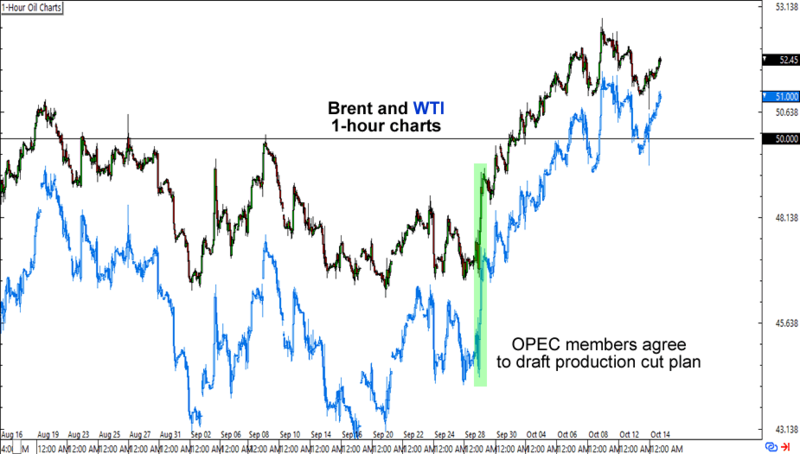 More importantly, it’s likely that oil traders haven’t priced in the possibility yet. Once asset bubbles start to pop and cause even more pain for major oil consumers like the U.S., China, Japan, and India, then it’s highly likely that demand for oil will suffer. And with global oil producers still pumping Black Crack like there’s no tomorrow, the oil supply glut can only get worse. Yikes! Perhaps the most convincing argument against the effectiveness of an OPEC production cut is that the cartel will soon lose its status as the biggest oil producer around the world. What’s the use of cutting production to prop up prices if OPEC’s output doesn’t represent the biggest piece of the pie anymore? Oil market players are now looking at U.S. shale oil producers, which have only become more efficient in a low oil price environment. So while oil prices still respond to verbal interventions from the cartel, its influence in the market is expected to lose steam as U.S. shale producers catch up and flood the markets with more oil.